Offering you a complete choice of products which include bolt heading machine. Our organization has gained recognition as a flourishing organization for providing Bolt Heading Machine. The offered machine used is to make the Head of Bolt hexagon or square as per requirement. The offered machine is fully automatic and easy to operate. 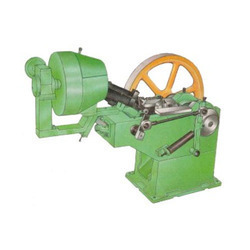 Our provided machine can be purchased in varied technical specifications as per the application requirements of the customers.